The Indian Police Commission in 1902-03 recommended constituting Criminal Investigation Department (CID) in every province and on 21 March 1905 the Government of India accepted the proposal of the Commission. The Government issued instructions to start the department in every province by 1907. 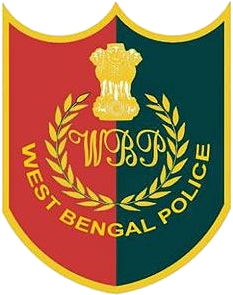 In Bengal, Criminal Investigation Department (CID) came into existence on 1st April 1906 under Mr. C.W.C. Plowden. The first head of CID after Independence was Shri H.N. Sarkar,IPJP. At present CID, West Bengal is headed by Shri Rajeev Kumar,IPS Additional Director General of Police, CID, West Bengal. On 14.3.18 officer and force of CID, West Bengal held raid at Shunmuni village PS Illambazar, Birbhum and recovered Methaphetamina weighing approx 490 grams, Nitrazepan weighing approx 540 grams and Buprenorphine. This refers to Reference Illambazar PS Case No. 38/18 dated 14.3.18 u/s 8(c)/22(c) NDPS Act. On 6.3.2018 acting on a secret information of CID, West Bengal along with West Bengal Wild Life official with the assistance of Kolkata Police held raid at the house of one Sri Rabin Paul s/o Lt. B.C Paul of 3 S/B, B Block, New Alipur, Kolkata- 53 and recovered two (2) Elephant Tusks from his possession. On 24.01.2018 officer and force of CID WB held raid and arrested one accused person namely Dawa Sherpa s/o Late Angphuri Sherpa of Lower Birbity, PS Birpara, Alipurduar in c/w Sadar(Darjeeling) PS Case No. 152/2017 dated 08.07.17 u/s 147/148/149/323 /324/325/ 326/333/353/307/427/436/120B IPC, r/w Sec. 3/4 PDPP, 8/9/15A/15B of WBMPO Act, 25/27/35 Arms Act. On 09.01.2018 a team of CID, WB held raid at Lalgola PS area and arrested 01 person namely (i) Abdus Sukur (38) s/o Azizur Rahaman of Mirdadpur, PS Lalgola, Murshidabad and seized 2.950 kg of Heroin from his possession.This refers to Lalgola PS Case No. 32/18 dated 09.01.18 u/s 21(C)/29 NDPS Act. On 07.10.17 officer and force of CID, WB held raid and arrested one person namely Baharul Islam (45) s/o Abul Islam of Shiv Nagar Colony, PS Matigara, Darjeeling and recovered one stolen vehicle.This refers to Pradhannagar PS Case No. 85/17 dated 16.02.17 u/s 411/413/414/120B IPC. On 25.10.2017 a team of CID, WB held raid and arrested one person namely Manoj Sankar (47) s/o Lt. Krishna Sankar of C-150/6, Neheruli, Word No. 2, South Delhi.This refers to Sadar (Darjeeling) PS Case No. 115/17 dated 09.06.17 u/s 147/148/149/153/153A/186/183/323/324/325/326/307/332/333/335/427/436/505/506/1 20B/124A IPC r/w section 8/9/15A/15B of WBMPO Act, Section ¾ of PDPP Act. On 21.9.17 officer and force of CID, WB held raid in the house of Bhola Bhakat (36) s/o Ajit Bhakat of village Pila, Natun pally, PS Purbasthali, District Purba Burdwan and arrested and seized 07 pieces of improvised fire arms, 02 pieces of empty magazine, 37 rounds of ammunitions. This refers to Purbasthali PS Case No. 367/17 dated 21.9.17 u/s 25(IB)(a)/26/29/35 Arms Act. Important Conviction in CID investigated case. On 10.02.2017 the Ld. ADJ, Chandannagar Court, Hooghly awarded punishment to 06 accused persons namely (a) Pranab Bar (b) Gobinda Saha (c) Debasish @ Bapi Biswas (d) Suklal Sen @ Bhajan (e) Tapas Karmakar (f) Supriya Mallick @ Rana for life imprisonment in c/w Singur PS case No. 27/2007 dated 6.02.2007 u/s 302/201/396/412 IPC which was investigated by the officer of Hooghly DD, CID, WB. On 27.2.17 officer and force of Malda DD, CID, WB held raid at Kaliachak PS area and arrested one accused person namely Ahed Molla and seized 22 grams of Brown sugar, one piece 9mm improvised pistol with 6rds ammunition from his possession.This refers to Kaliachak PS case No. 155/17 dated 27.2.17 u/s 21 NDPS Act & 25/27 Arms Act. On 14.01.2017 a raid was conducted at Chandannagar & Bhadreswar Railway Station by the officers of SOG & POWC Cell, CID, WB and arrested accused persons namely Deepak Kumar & 06 others and also recovered 505 soft shell Turtle, cash Rs. 90,000/- from their possession. This refers to Sheoraphuli GRPS case No. 5/2017 dated 14.01.2017 u/s 51 Wild life protection Act. The Anti Human Trafficking Unit (AHTU) of CID, WB has busted several modules of traffickers in the past few months. A total 19 (nineteen) victim girls could be recovered and out of them 4 victim girls could be recovered from Maharastra, Uttarpradesh, Goa and Jharkhand by the sincere efforts of AHTU of CID, WB.